Next up, we Erica Liu Williams, the founder and head chef of gr8nola! 1) Filling your time with things that matter: Everyone’s definition of balance will be different because everyone has their own unique set of values. Plain and simple: different things matter to different people. For me, the things I value most (listed in order) are my business, health & wellness, planning for the future, connecting with people, sleep & travel. In order for me to feel to feel balanced, I need to be filling these buckets with my time, resources and mindshare. Usually when I’m feeling out of balance, it’s because I’m not spending time on the things that matter most to me. 2) Sleep, exercise and clean eating: Since health & wellness is my second highest value after my business, these are all check boxes I usually try to hit to stay balanced. Sleep for me is getting at least 7-8 hours per night, and I’m pretty good about staying on a consistent schedule. Being a former Stanford and Olympic Trials swimmer, working out is in my DNA and something I always look forward to, so I’m usually very consistent in the gym. However, the area I often struggle with is eating clean. Because I’m so busy and and on-the-go running my business, it's difficult to eat healthy all the time without sacrificing taste and quality. But this is exactly why I started gr8nola: to make "clean snacking” satisfying and more convenient for the modern, health-conscious consumer like you and me. And one day, hopefully soon, I can bring more products to the community that can make this easier for everyone. 2) Rest and resetting: Since running my business is my highest value, I’m usually working ALL the time (yet happy to do so). But I do believe in the importance of pausing, resetting and reflecting. This is different from sleep—this is more about mental balance and giving yourself permission to step away and take a break, whether that’s a few hours, an entire day or an entire week or two (for travel ). Too often I get caught in the weeds of execution and start missing the big picture. Big ideas and inspiration will evade me. I feel unproductive, even though I’m working incessantly. Taking the time to pause, disconnect and reset can often step-function your ideas, productivity and business; and thus, critical to my balance and business. Again, I can’t emphasizes enough how much "balance" is highly personal and uniquely individual. If I could recommend one thing, it would be to determine your values (I determined mine here—it takes about 20 minutes). Once you do this, then audit how you’re using your most precious resource—your time—towards (or away) from these things. You’d be surprised to see how much your values, how you fill your “space”, and overall sense of balance are so intertwined! "Usually when I’m feeling out of balance, it’s because I’m not spending time on the things that matter most to me." 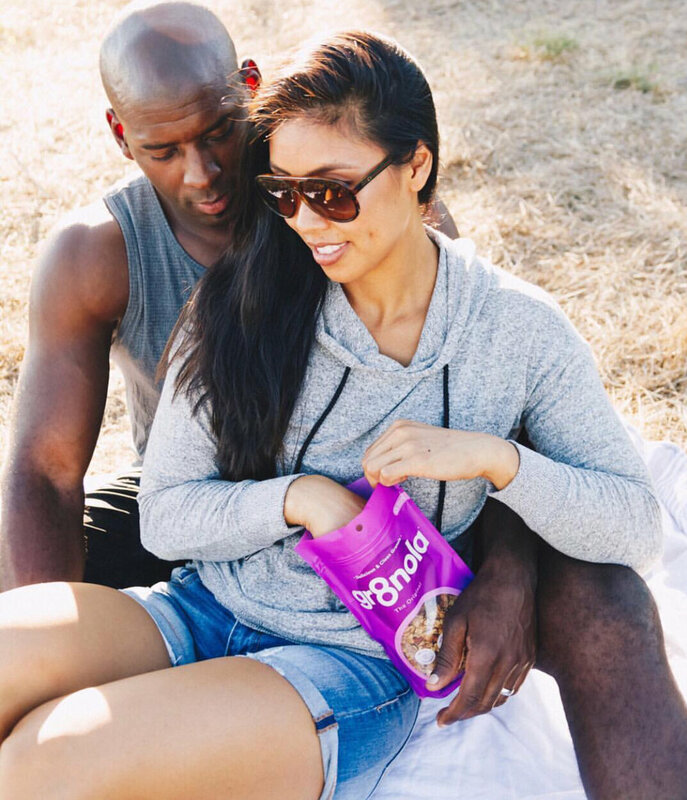 Erica Liu Williams, founder and head chef of gr8nola, is a former Olympic Trials and Stanford swimmer who came up with the recipe to satisfy her craving for a crunchy, sweet yet allowed snack during an annual cleanse she does with her NFL pro husband Tank Williams post-Super Bowl. It was an instant hit so she decided to enter (and won!) Google’s annual snack fair and, now, makes up to 10K lbs of granola per month for Silicon Valley’s top companies. She just quit her full-time tech job to focus on the granola startup full-time.